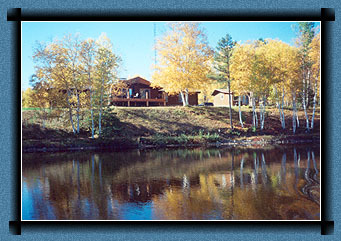 Tucked away in the Northern Ontario wilderness, only 3 hours north-east of Sault Ste. 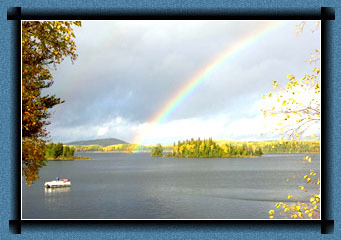 Marie and 1 hour south of Chapleau, Flame Lake Lodge is cozy and comfortable with all the amenities of home. A small, family-run lodge, established in 1967, we offer a friendly, fun and relaxing destination. The main focus of our business is outdoor activity and adventure. We offer American Plan, housekeeping, camping, hiking, ATV and snowmobile trails, a swimming beach, canoeing and countless other activities for the whole family to enjoy. There is lots of wildlife to see and hear, including moose, loons, otter, beaver, owls and eagles, so be sure to bring your camera. 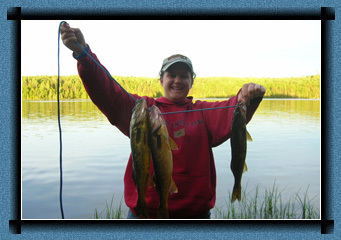 We have excellent fishing for walleye, northern pike and whitefish in Flame Lake, with countless other lakes all around us. We also offer exceptional hunting for black bear, moose and small game. We are excited to offer a new area for black bear hunting, which hasn't been hunted at all for several years. Grouse hunters can enjoy the many scenic wilderness trails surrounding the lodge and lots of gravel roads in the area. We are off-grid here at Flame Lake Lodge and now have a wind turbine and solar panels that give us power 24 hours a day. We are especially pleased to have gone "green" with the diesel generator turned off. Now, the peace and quiet here is even more unbelievable! There is definitely something special about this place in its untouched wilderness setting. Whether it's adventure or just pure relaxation you want, you are going to love our clean, quiet resort. Our goal is to help you get away from it all and hopefully return year after year. Why not come up for a well-deserved holiday and join our family of friends? Please explore our web site and feel free to call or e-mail us for more information.